What many homeowners don’t realize is that the longer you postpone your roofing maintenance or replacement, the more sensitive your roofing structure becomes and the higher of a flight risk you’ll have your hands. A worn out roof is a ticking hazard waiting to drain your pockets time, and energy. Chances are, you’re no expert on roofing and you’re probably unclear about the current status of your roof or how long it’s been doing it’s job. So you have two choices, one is just as effective as the next. Call your local roofing contractor to give you an analysis on your worn-out roof. Or consider these tips on how you can assess your worn out roof. Look for missing or cracked shingles. Shingles provide a protective shield for your home’s roofing structure, protecting it from weather, deterioration, and other harsh outdoor elements. A missing, cracked, or bare (no granules) leave your inner layers of your roof exposed to a variety of hazards like poor ventilation, wear and tear, and pesky roof leaks. Bacterial growths have formed around your roofing. 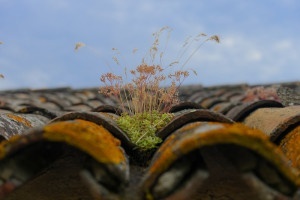 Algae and moss are two indicators of a roof that need intensive care and maintenance. If you live in an area with high moisture levels and little sunlight, you’ve encountered roofs with dark stains that are caused by algae activity. 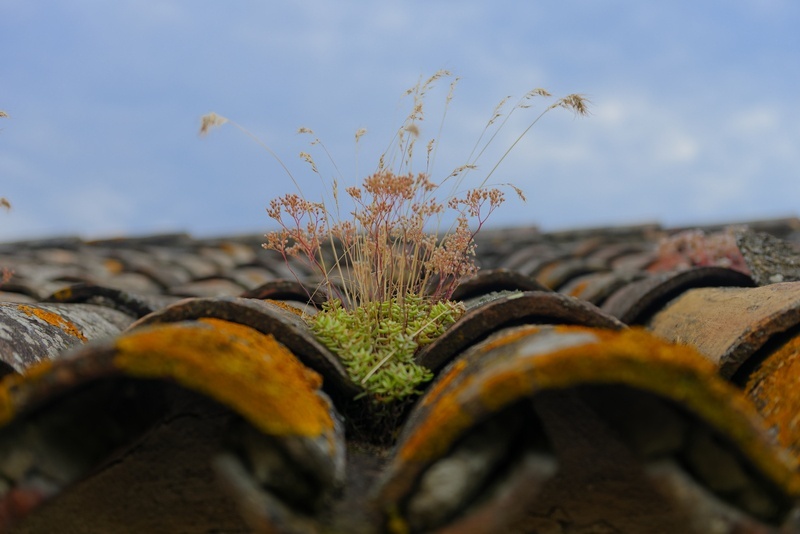 Moss attracts moisture to your rooftop which potentially cause damage to the protective graduals on your asphalt shingles. All your neighbors seem to be replacing their roofs. The typical warranty on a new roof can stretch from 20 to 50 years depending on the quality of the material your roof is made of. You may want to keep an eye out for an increase in roof replacements in your neighborhood. Homes built during the same time period are likely to experience the same level of time and weather-dependent issues that often take a toll on worn out roofs. You don’t need to wait for moss to invade your rooftop or your shingles to fall off your worn out roof to decide if it’s time a replacement. Just looking old and deteriorated can be a big enough clue. Take it from a couple of folks who’ve been in the roofing business for quite some time; sometimes what you see is exactly what you get. If your roof looks to be in poor shape, has missing parts, or isn’t exactly doing it’s job i.e, leaks, nasty stains, and undesirable moisture, it’s time to consider doing away with your roof entirely.